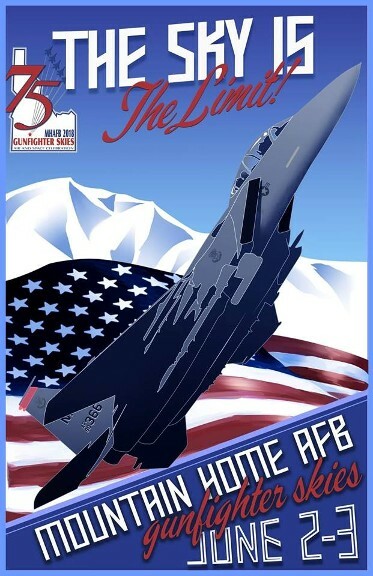 Mountain Home Air Force Base will be hosting Gunfighter Skies scheduled for June 2nd & 3rd 2018. Please check back for updates, in the meantime take a look at Gunfighter Skies 2014 memories !!! Note: There will not be a written or published performance schedule for either day. No Replies to "June 2-3, 2018 - Gunfighter Skies 2018 Airshow"